Probably one of the most famous merchants that ever sailed the seas, Marco Polo is known worldwide for his travels to the Far East. And though history books note that he was born in Venice, ask any Croat and he will tell you otherwise. There are reports that claim that the famous sailor was actually born on the Island of Korcula. And there is no better way to explore such claims than to book the Marco Polo II and sail to this famous island in the Adriatic Sea. 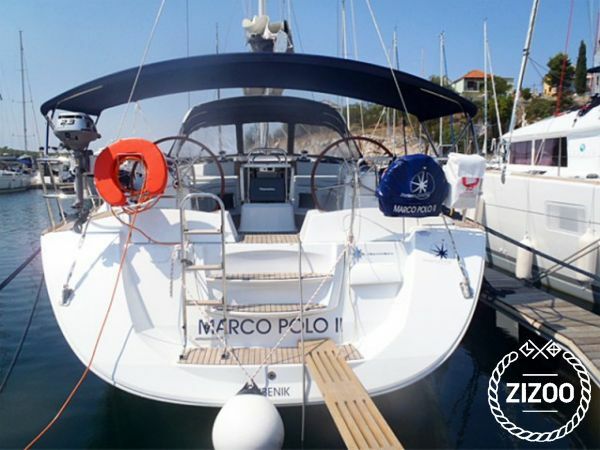 This 2011 Jeanneau 53 Performance cruiser has 6 cabins and 3 bathrooms, so get your research group together and spend your holidays in search of distant pasts and far-off legends. Discover beautiful warm waters, and hidden coves and bays. Dive deep in search of fantastic sea life, and taste some of the best local delicacies the region has to offer. For more ideas and tips, you can always ask your local crew to guide on your summer adventure.